UDM Downloads > Recover USB Drive! Flash drive data recovery software restore deleted digital media files such as GIF, JPG, PNG, JPEG, BMP, WMV, MPEG, MP3, MP4 etc. USB drive picture restoration utility recover formatted, unreadable or corrupted data which are damaged due to virus attack, hardware software malfunction, power failure or any human error. Flash drive recovery tool rescue formatted document image snap retrieve music songs audio video pictures and also restore data from 1GB 2GB 4GB or even higher capacity drives for all windows operating systems. Thumb drive data recovery program recover deleted files from all type of USB memory sticks including Apacer, Kingmax, Lexar, PQI Ridata, Supermedia, Transcend, Kingston, Sony, Viking, and many more. Recover USB drive application supports retrieval of unreadable encrypted data, and long file name files from any removable storage media. Flash drive lost files recovery tool undelete erased pictures, digital clips, Power point (*.ppt), MS Word (*.doc), PDF, Excel (*.xls), Access (*.mdb), and Text files etc. Lost data recovery tool undelete files from all type of USB drives like USB pen drive, Flash drive, Flash disk, Thumb drive, USB zip drive, memory stick, USB key, magic stick, pocket drive, Geek stick etc. Features: * Pen drive lost files rescue program provides attractive and user friendly graphical user interface. * Thumb drive music recovery tool provides data recovery even when folder deleted using Shift+ Del keys while accessing pen drive on your computer. * Ensures recovery even if pen drive, thumb drive, flash drive storage media is not detected or inaccessible by your laptop or computer system. 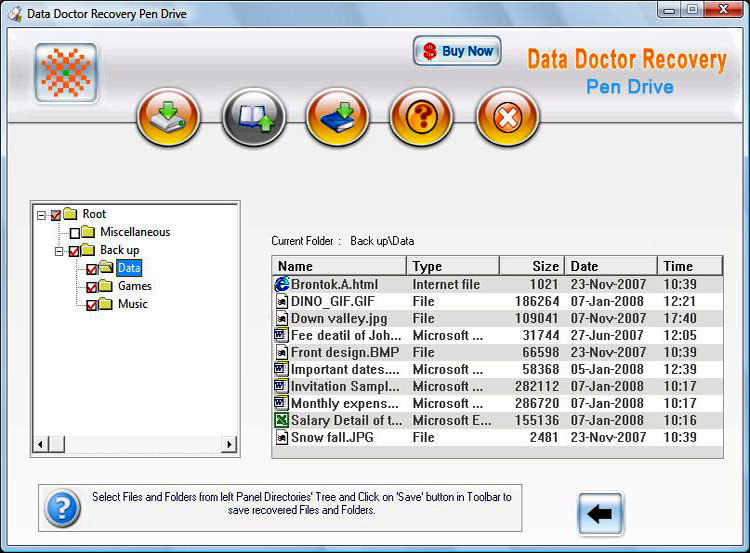 * USB drives data restoration utility support long file name recovery after deletion. * Freeware flash data retrieval program restore lost data, recover formatted files before you fix and repair your corrupted storage device.